Managing Director Timo Palviainen says that Hansakortteli Shopping Centre performed according to expectations in 2018. The shopping centre’s top sales area in 2018 was beauty and health services, which increased by more than 7% over the previous year. Sales and visitors at Hansakortteli met expectations despite the major change work that was taking place. The ongoing refurbishment meant that many shops had to change locations within the zone undergoing renovation or move to temporary facilities in Hansakortteli. A few businesses have even suspended their operations for the duration of the change work. “However, some of our shops have been able to increase their sales despite these significant changes. In addition, many of our tenants who had to move found facilities that better serve their business,” says Palviainen. Changes in the city centre affected Hansakortteli’s sales in the expected manner. However, Palviainen is satisfied with last year’s success in attracting new tenants. 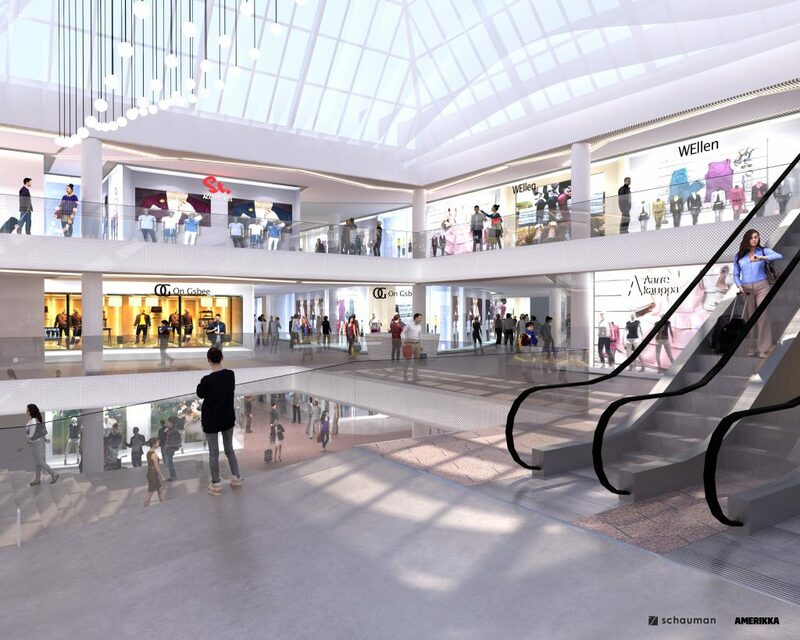 The early part of this year will be the busiest period of the Hansakortteli renovation. For example, work to improve access routes, expand facilities, and build completely new spaces on the 3rd floor of Thalia and Antintalo is now in progress. “We have to renew in order to keep Hansakortteli and the city centre vibrant and attractive. I hope that Turku residents also see the renovation as a unique opportunity to witness one of the biggest changes in Turku’s city centre. At the same time, the renovation provides a lot of work for companies and employees in Turku,” states Palviainen. Turku’s Hansakortteli is Finland’s best-loved shopping centre (Helsingin Sanomat newspaper, 14.2.2016). Hansakortteli’s sales totalled about 220 million euros in 2018 and it attracted some 12 million visitors. More than 130 businesses operate in Hansakortteli Shopping Centre.